Beyonce updated her website with personal photos from Richard Lawson's 70th birthday party. Beyonce updated her website with personal photos from the Beauty and the Beast premiere. 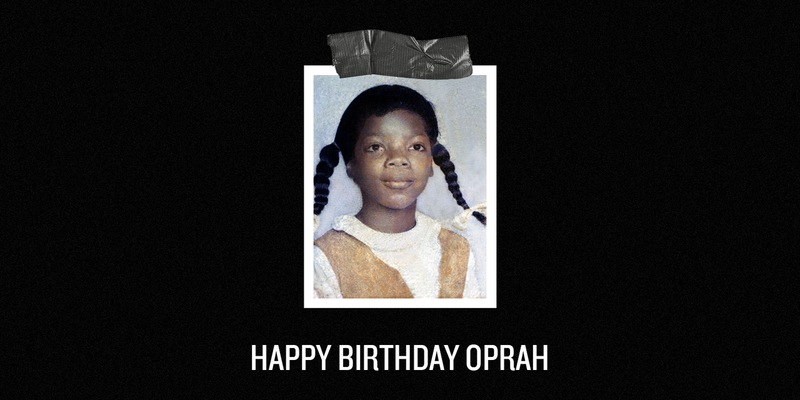 Beyonce finally updated her website with new personal photos. Shortly after the Trump administration withdrew protections for transgender students in public schools (Feb.22), Beyoncé voiced her support for tans youth on Facebook (Feb. 23). “#LGBTQ students need to know we support them. Share your support to #protecttransyouth at glsen.org/100days & put #KindnessInAction GLSEN”, Beyonce wrote on Facebook. 100 Days of Kindness is a national campaign that allows people to post messages of support to LGBTQ students on social media via the hashtag #KindnessInAction. Social media users can upload posts via Instagram, Facebook, or Twitter and are encourage to include a photo or short video message, and each message shared will join a virtual wall of kindness on the official campaign website. Beyonce joins a roster of celebrities who spoke out against Trump's most recent decision, with Katy Perry, Sia, Blink 182's Mark Hoppus and several more expressing their support for the LGBTQ community. Beyonce shared a new picture on Instagram. Beyonce.com was updated with new photos from the Grammy Awards. 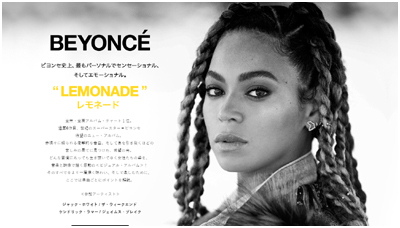 An official Japanese website for Beyonce's "Lemonade" has been launched. Check it out below! Beyonce shared more photos from her maternity photoshoot, as well as older family pictures on her website! Beyoncé‘s surprise pregnancy news has set a new Instagram record. The singer, who announced she was expecting twins with husband Jay Z on Wednesday, received 6.4 million likes and over 339,000 comments on her baby bump photo, less than eight hours after it was posted. Within the first hour, it had over 2.4 million likes and 166,000 comments. Queen Bey’s baby post surpasses previous record holder Selena Gomez‘s photo — of herself drinking Coca-Cola with the lyrics “You’re the Spark” from her hit song “Me & The Rhythm” on the bottle — which collected 6.3 million likes since last June. Similarly on Twitter, the BeyHive were in a frenzy. Within 45 minutes of Beyoncé making her pregnancy announcement, there were over half a million tweets about the baby news. By 1:54 p.m. E.T., or within 15 minutes of the announcement, there were over 17,000 tweets sent per minute about Beyonce’s post, according to the social media platform. In addition, “twins” was the top trend on Twitter, with “Beyonce,” “Blue” and “Beyhive” also trending. Beyonce took to Instagram to announce her pregnancy! She wrote: "We would like to share our love and happiness. We have been blessed two times over. We are incredibly grateful that our family will be growing by two, and we thank you for your well wishes. - The Carters"
Beyonce took to her website to thank the Obamas. Beyoncé showed her support for the post-inauguration, anti-Trump Women's March in a Facebook post. "Together with Chime for Change, we raise our voices as mothers, artists, and as activists," she wrote. The rally will take place in Washington, D.C. and other cities around the world. Chime for Change, a global campaign Beyoncé cofounded aims to empower women and is an official partner with the Saturday's event. "As #GlobalCitizens, we can make our voices heard and turn awareness into meaningful action and positive change." The Women's March takes place the day after Donald Trump is sworn in as the 45th President of the United States. The march was organized in response to his misogynistic and prejudicial rhetoric he used throughout his campaign. Groups that feel attacked by Trump's derogatory remarks include: women, Mexican-Americans Muslim citizens and members and allies of the LGBTQIA community. Beyonce is among the nominees for the 9th annual Shorty Awards — highlighting the best content across social media, including Twitter, Facebook, Tumblr, YouTube, Instagram, Vine and Periscope. Founded and produced by Sawhorse Media, the Shorty Awards will be held in April in New York City and will be available via live stream at ShortyAwards.com. Finalists in each category — recognizing content for sports, journalism, fashion, humor and more — are determined by rankings from The Real Time Academy (rtacademy.org), as well as votes from fans via social media. Users can vote once per day per influencer on the Shorty Awards website and share their vote on Twitter and Facebook through the site for an additional vote per social network, per day, per influencer, until voting closes on Feb. 16. Beyonce.com was updated with tons of new photos from the Ivy Park Fall/Winter 2016 ad campaign. 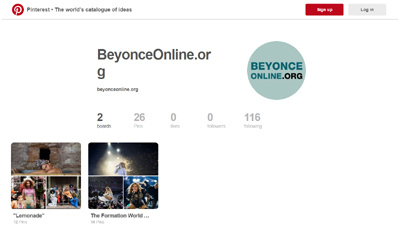 Beyonce Online is now on Pinterest! Follow us @beyonce_online. Beyonce updated her website and Instagram with personal photos from SNL. Beyonce performed with Emily Robison and Natalie Maines of Dixie Chicks at the 50th annual CMA Awards at the Bridgestone Arena on November 2, 2016 in Nashville, Tennessee. Beyonce Dresses as Black Barbie for Halloween! Beyonce and Jay-Z dressed as Black Barbie and Ken for Halloween! Check out pictures from her Instagram. UPDATE: The Carters were also spotted arriving at a Halloween party in New York. Beyonce attended Angie's Birthday Party on Saturday dressed as Salt-n-Pepa!